useful lives. It’s not uncommon to find horses and ponies living well into their 20s and 30s. While genetics play a role in determining life span, you too, can have an impact. attitude. Address problems, even seemingly minor ones, right away. which can lead to colic and other problems. head to tail as well as beneath the tail (especially on gray horses). 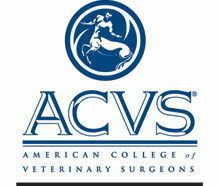 qualified veterinary help – can the chance for recovery be maximized. 2. Feed a high quality diet comprised primarily of roughage. one to avoid overloading the horse’s digestive tract. Hay is best fed free-choice. 5. Set up a regular parasite control program with the help of your equine practitioner. 8. Avoid putting feed on the ground, especially in sandy soils. blister beetles, noxious weeds, and other ingestible foreign matter. changing their surroundings, such as at shows. differences, probably due to environmental factors such as sandy soil or climatic stress. potential to reduce and control colic, the number one killer of horses. available by visiting the AAEP’s website at www.aaep.org/horseowner.